I am so exhausted; I just want to go to bed. But I convinced myself to drop some lines for my homepage first. There is a lot to tell… and it’s not all about chess. Yesterday I arrived in Bremen, where I take part in a grandmaster tournament. Like most of the participants I stay in the Balladins Superior. It´s not the best hotel I ever stayed in, but it´s totally adequate. There is free W-LAN in the whole hotel and the breakfast is quite good. Since these are the two most important things for me, I am completely satisfied. As I already mentioned, the present day was full of events. It started with a visit of a camera crew at 9.30 am. They were interested in the tournament and had chosen me as the only female participant to report about. They wanted to show how I prepare for a tournament. I told them that, besides analyzing my opponent, it´s very important for me to do some physical training. So they had the gorgeous idea to film me while I jog, do pushups, sit-ups and so on. The shooting was pretty funny. We went to a special location where I did all the exercises. Because they needed different perspectives, I had to do it again and again. I am rather sure that tomorrow I´ll have sore muscles! Afterwards, we did all the “normal stuff” like interviewing, filming in front of a chessboard and so on. It took us plenty of time, so I had hardly time for real preparation … not the best conditions for the first round of a grandmaster tournament. 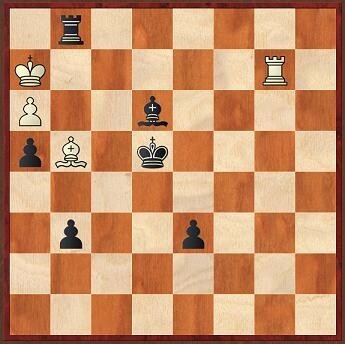 I played with black against FM Dr. Joachim Asendorf (2356). It´s hard to believe, but he is the weakest opponent I have in this tournament. That means that I have the lowest rating of all participants and this on the other hand implies that I have nothing to lose. It´s a new situation for me, but I think it´s much easier to be an outsider than the odds-on favorite. Tomorrow I play against GM Gennadij Fish. 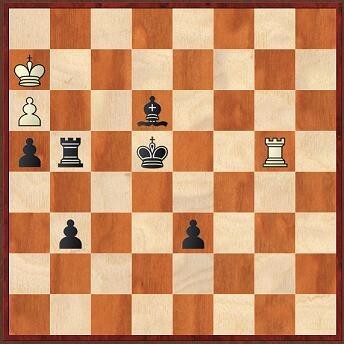 You can follow my game on http://www.werder.de/de/schach/turniere/live.php.